In the classic times of the Aztec and Mayans, cacao was a sacred and cultural food icon. Over the next centuries it would develop into a taste for the rich and noble in Europe and then be disseminated into the general population where a mass production of chocolate soon became necessary to meet the demands of the people. When the demands for chocolate rose it became normal for companies to abuse foreign labor to maintain the supply for chocolate and sugar. This has created a legacy of oppression that still exists to this day. Profit is the bottom line of any corporation and they will do whatever they can to keep their costs low, which is why such unethical practices have existed. Ultimately, the control of the corporations profit comes from the hands of the consumer. Thus, the responsibility is on us as consumers to hold chocolate corporations accountable for their unethical practices if we want the industry to leave behind its legacy of oppression. To meet the growing demands in Europe for chocolate, cacao plantations were set up across the world from the West Indies to Africa. Mesoamerican workers were used, but as they soon died to disease enslaved Africans soon became the principle labor force behind the cultivation of cacao (Martin, 2019). Cacao as a cash crop then became so profitable that it became one of the common commodities involved with the trans-Atlantic slave trade. Slavery became a foundation of the cultivation of cacao as the as the cost efficiency of forced labor made it a very enticing choice. As the abolitionist movement progressed slavery eventually became outlawed throughout the Western world, yet even when slavery became outlawed the profitability of oppression meant that those at the bottom to the food chain would continue to work in unfavorable conditions. Cadbury was a company that prided itself on being one of the most popular names in chocolate and even today Cadbury continues to find popular commercial success. As this ad shows Cadbury had been doing so well that it became the chocolate of choice for Queen Victoria herself in the mid 1800s. However, their high quality cacao was derived from the Portuguese colony of Sao Tome & Principe, a place with troubling ethics for the cacao laborers. Despite slavery being outlawed in Portuguese colonies, the treatment for the African farmers was akin to slavery (Martin, 2019). When the initial reports of the work conditions first reached the ears of Cadbury, they did nothing to remedy the situation other then send one researcher Joseph Burtt who’s report would end up taking years. Meanwhile, independent journalist Henry Nevinson went to Sao Tome & Principe and had already been publishing information about the use of slaves on the island. It would take 8 years before Cadbury would change where they sourced their cacao from after William Cadbury went to visit the island to see the work conditions himself. There were certainly various factors, such as foreign relations with Portugal that played into why it took Cadbury before making the decision to boycott Sao Tome & Principe. What pushed William Cadbury to finally visit the island was mounting pressure from consumers and the public. Other chocolate companies attempted to distance themselves from the public ire by also boycotting cacao from Sao Tome & Principe. The Cadbury incident is a perfect example that the power to end inequality inflicted by corporations lies in the hands of the consumer. While the Cadbury days where companies could get away with having chattel slavery in their supply chains have passed, today a new form of oppression has become the norm. Ghana and the Ivory Coast now account for 60% of cacao produced in the world (World Cocoa Foundation, 2018). In these countries oppression through the chocolate industry has become a capitalistic slavery where the people at the bottom of the chocolate supply chain have such unequal wages that they live in conditions close to or in poverty. Even after decades of farming cacao, some farmers have not even tried chocolate before. The video below shows how far removed these farmers are from our comfortable world of well-wrapped and boxed sweets. The reason these laborers get paid so little is because corporations want to keep their costs low in the supply chain to keep up with global demand. Perhaps the cheapest sources of labor suppliers have turned to, to increase productivity rates are in child laborers. This issue began gaining awareness back in the mid 2010s, but since the initial outrage there has actually been an increase in child labor associated with the chocolate industry (Balch, 2018). From the Cadbury Company in the late 1800s to child slave laborers today it is clear that there has been an unfortunate legacy of inequality in the production of chocolate. This legacy exists because companies want to source from cheap labor to make the most profit possible while keeping up with high global demand companies. Ultimately, it is the workers at the bottom of the supply chain that are the most hurt. If there is any lesson to learn from the example of Cadbury incident it is that we the consumers have the power in our hands to improve the lives of these workers. The profit that these corporations care so much about is in our control and it is our responsibility to make a difference for the farmers and children who face unfair wages because of the products that we choose to buy. Balch, O. (2018). Child Labour: The dark truth behind chocolate production. Martin, C. (2019) “Slavery, abolition, and forced labor” [Powerpoint slides]. Brian O’Keefe. [Fortune]. (2016, March 1). Behind a Bittersweet Industry [Video File]. Martin, C. (2019). “Slavery, abolition, and forced labor” [Powerpoint slides]. VPRO Metropolis. [VPRO Metropolis]. (2014, February 21). First taste of chocolate in Ivory Coast [Video file]. Chocolate has frequently been referred to as the, “Food of the God’s”. For chocolate lovers, the thought of this creamy rich confection invokes an emotion (or passion if you will) that makes it an essential part of the daily diet. Some, consuming it multiple times a day. We give chocolate as gifts for special occasions and profess our affection through ornate heart shaped boxes full of the decadent treat. According to an analysis conducted by MarketsandMarkets, the global cocoa and chocolate market is projected to be worth nearly $133.8 Billion combined in 2019 (MarketsandMarkets, 2014) . But what is the true price of chocolate commerce? For some, it comes at a great cost, specifically the child laborer’s who work on cacao plantations in West Africa. While many chocolate manufacturer’s and worldwide humanitarian organizations have made great strides in spotlighting the issues of child labor, slavery, and trafficking – there is a long way to go. The dark side of chocolate has far reaching repercussions that stretch far beyond the guilty calories in your Valentine’s day Whitman’s Sampler. For centuries, children have been used as slaves in the cacao trade. As a matter of fact, forced child labor has been recorded as far back as the 1800’s in cacao harvesting and cocoa production (Sackett, 84) . The True History of Chocolate elucidates that the ethics of the chocolate trade have been flawed for too long. In their authoritative book, Coe and Coe enlighten us that the countries most involved in this shameful practice are the Ivory Coast (Cote d’Ivoire) and Ghana – which (coincidentally?) are the top two cacao producing countries in the world. Here, millions of children have been trafficked over time to work “under terrible conditions… suffering from [the negative effects of] powerful pesticides…cutting themselves with the machetes that they must wield to open the pods.” (Coe and Coe, 264) Tragically, these children also lack quality medical care and schooling to better their health and to increase the potential for a better life. Despite the cacao trade bourgeoning into a multi-billion-dollar industry, we cannot help but have a bitter taste in our mouth for the still sub-standard labor ethics employed in West Africa. The problem cannot be ignored! By now, you may have a bitter taste in your mouth and should be asking yourself “What can I do to help.” For many chocolate consumers, it is enough to bite into our favorite Endangered Species or Alter Ego brand chocolate bars and have a clear conscience – feeling that we are doing SOMETHING by choosing what we deem to be an ethically sourced confectionery. For others, we are angry and want to do something immediately that will change the trajectory in a more positive direction. So, what do you do? Perhaps you will pay more for a chocolate bar that’s packaging convinces you that the proceeds are going to help reduce child labor, slavery, or trafficking? Or perhaps you will emphatically denounce any chocolate grown in this region of the world and refuse to patronize any brand not making the grade on the “Chocolate Scorecard”? 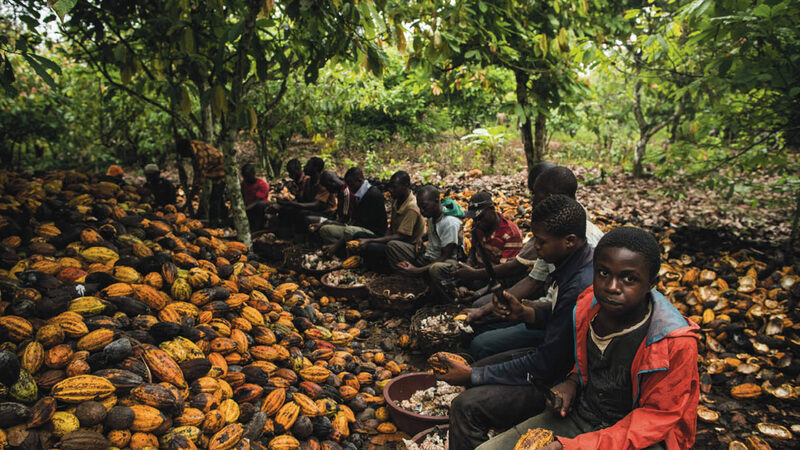 As Kristy Leissle points out in her thoughtful book Cocoa, the “oft-suggested idea of charging more for chocolate to ease farmer poverty reverses typical cause and effect, whereby higher cocoa prices drive higher chocolate prices.” (Leissle, 136) . 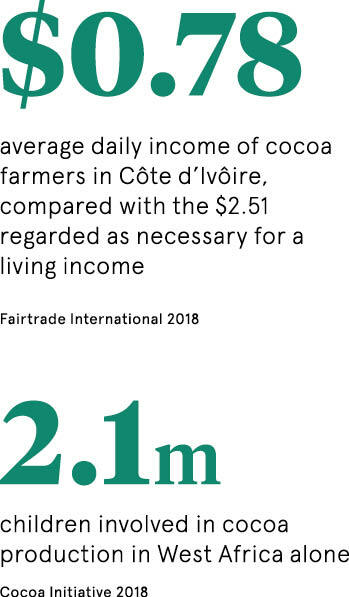 Simply put– when the price of cocoa goes up, these farming regions are even more attractive due to the low labor rates; doing nothing more than increasing profit for chocolate makers. And for those of you that are done stomping your feet in remonstration, according to Leissle, “buying only cocoa from outside West Africa would do more harm than good” (Leissle, 136) as you would be punishing hard working West Africans that are dependent on the cacao trade for their livelihood. • Become a more conscientious consumer by educating yourself on the issue and the actions being taken to combat them. There are numerous organizations fighting every day and your donation or activism are appreciated. • Shop at retailers that support brands that are working to reduce child labor in the cacao trade. If you are unsure if your favorite store or market is making choices that you are aligned with in selecting their chocolate inventory – do not be afraid to ask. Many retailers have category managers that are well versed on what their store carries and why. If their selection is unsatisfactory, chocolate may not be the only category that they do not measure up in the area of ethics. • Think global but act local. Talk to your State Representative about their agenda for reducing child labor as it relates to trade facilitation and trade enforcement. A sweet not bitter ending…. The “Food of the God’s” does not need to come at the cost of innocent lives in West Africa. Though chocolate has been studied academically and discussed politically, there are still significant gaps that each and every one of us can contribute to closing. So, the next time that you pick up your favorite chocolate confection, may the guilt be only on your lips and on your hips. A sweet not bitter ending…. The “Food of the God’s” does not need to come at the cost of innocent lives in West Africa. Though chocolate has been studied academically and discussed politically, there are still significant gaps that each and every one of us can contribute to closing. So, the next time that you pick up your favorite chocolate confection, may the guilt be only on your lips and on your hips. Chocolate has had a major significance in society over the years. Many events and holidays use chocolate as a major part of their rituals. Chocolate can be traced all the way back to Mesoamerican civilizations such as the Mayans and the Aztecs. These civilizations viewed chocolate as a great luxury item that had many powerful qualities. Chocolate was used in many rituals, spanning from marriage rituals, religious rituals, and even a belief that it could cure illnesses. The view on chocolate has changed over the years, however. Today, people have started to simply associate chocolate as a commodity involving sweetness and romance. Also, people are often unaware how their chocolate is being produced and if the cacao farms that produce it are being run ethically. I took the time to conduct an interview with a friend of mine to understand his view on chocolate and the significance it has to him. Clearly, there are quite a few myths that people have about chocolate and hopefully I am able to shed some light on why people view chocolate in such a different way than it had been looked at before. While chocolate has spread to many parts of the world today, it was not always so accessible to people. Cacao can be traced all the way back to beginning with the Mesoamerican civilizations. The Mesoamerican people viewed chocolate as a luxury item given to them by the gods. Many documents such as the Dresden Codex and Paris Codex, as seen to the right, allow us to see how big of a role chocolate played in the lives of these people. Cacao was often used in many different rituals and also was used to cure some illnesses. In the Mayan civilization, cacao was used for digestion and as an anti- inflammatory. Eventually, chocolate spread to the Europeans and underwent some hybridization. The Europeans would add ingredients to the chocolate such as cinnamon to enhance the flavor of it. Chocolate influenced many social aspects in Europe such as class, religion, and politics. Eventually, chocolate would spread more globally and although not having great success in parts of Asia, it would be consumed across the world including North America. People in today’s society are often unaware of the roots of chocolate and cacao. In conducting the interview, when I asked my friend where they would consider the roots of chocolate, they responded, “I think of European countries like Switzerland when I think of where chocolate started.” This shows how people are unknowing to the roots that chocolate has and where cacao has been traced back to. Also, while we have many views on chocolate today, with romance being the most common association, people are unaware how significant of a role chocolate played in early civilizations. When asked about the views early civilizations on chocolate, they responded, “I would imagine it was the same as today. 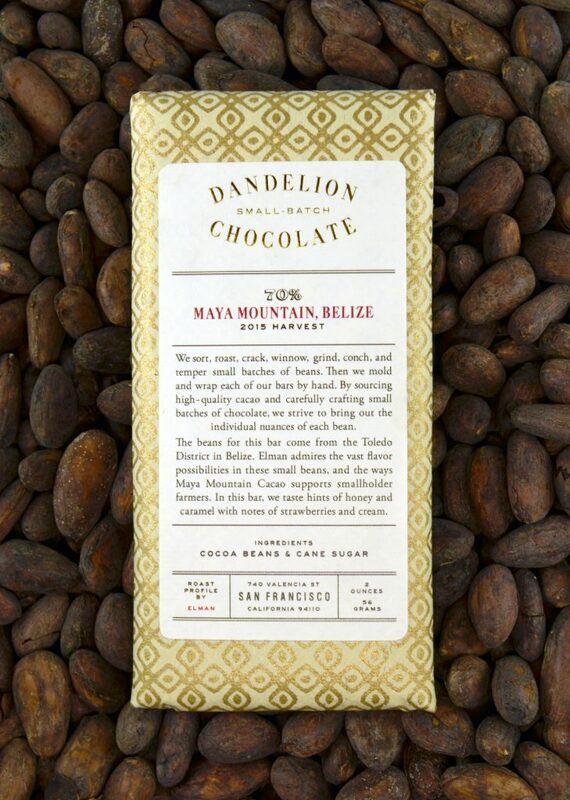 Mostly a sweet candy with romantic significance.” I believe this undermines how much of an impact cacao and chocolate had on early civilizations and the important role it played in their everyday lives. 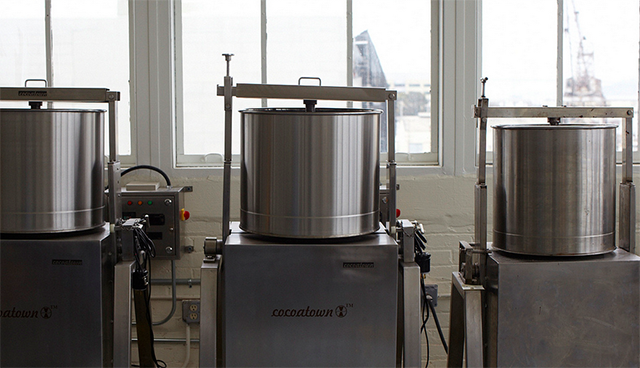 The process of producing chocolate is not the simplest process. There are many labor intensive tasks that must be performed on the cacao farms. Some of the tasks that are required include clearing trees, planting, grafting, applying fertilizers, and transporting items. While these may not seem like hazardous tasks, there many potential risks in completing them. In order to complete the work, workers must walk long distances on uneven and often slippery surfaces, use sharp and heavy objects, and also experience a great deal of sun and heat exposure. Many safety precautions are not put in place in order to ensure safety of the workers. Farm workers also very often lack access to bathrooms, filtered water, and clean spaces to prepare food. In finding out if people are aware of the labor involved in producing cacao and if they are run ethically, I asked my friend about their perception of cacao farms. He said, “Honestly, I don’t know too much about how the farms that produce chocolate are run. I would assume that most of the producers follow standards and the working conditions are secure.” It is quite evident that people are not informed on the standards that cacao farms have and how ethically they are producing their chocolate. Farmers are usually getting volatile income and therefore don’t get paid wages or a salary. As Amanda Berlan states, “Forced labour in cocoa is documented in many regions, ranging from Mesoamerica, South America, to Africa and the Caribbean from as early as the 1650s to the twenty-first century.” (Berlan, 2013) This evidence allows us to see that forced labor on these cacao farms is not a new phenomenon. Child labor is also a big exploitation on West African farms. Children provide cheap labor for cacao farms and are often put into often dangerous conditions for little pay. As you can see by the image on the right, children are put into hazardous situations such as transporting heavy bags of cacao. This is extremely dangerous for the overall well being of the children. However, not all chocolate producers run cacao farms that are unethical. 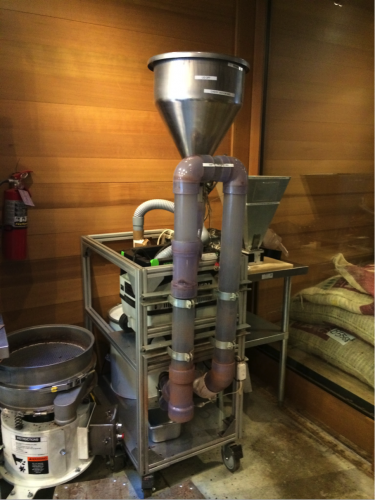 Some companies such as Theo’s pride themselves on making sure everybody in the bean to bar process can thrive. They want to ensure that their cacao farmers are in good working conditions and making a stable amount of income. As their website states, “Every Theo purchase directly supports the livelihoods of over 5,500 cocoa farmers in our supply chain and their 30,000 family members, enabling farmers to send their children to school, feed their families, and reinvest in their communities.” It is important, based on the lack of knowledge of cacao farms from the interview, that we must inform people of how cacao farms run and which take advantage and exploit their farmers. While we are able to conclude that the history of chocolate and how it is produced is quite unknown to people, I want to investigate the modern view on chocolate and how advertisers and producers capitalize on this view. Over the years chocolate has developed the stigma for being used in romance and aroma. As noted by my friend in the interview, “For me, chocolate is one of those items I get when I want to reward myself or a friend. I feel it has that romantic vibe to it” Chocolate has been advertised to people as having the ability, especially on women, to entice an excessively aroused feeling. As you can see by the image to the right, women are constantly being depicted as being seduced by chocolate. Men, on the other hand, are often seen as of higher status in these commercials. Men get depicted as the ones who are constantly attempting to seduce the female and seen for their appearance, not brains. Advertisers are constantly picking up on the stigmas and perceptions that people associate with chocolate and then implement them into their commercials or advertisements. While it may not seem important that we are aware of how advertisers are showing chocolate, there are many implications that result from these marketing strategies. One of the main factors in the childhood obesity epidemic is the marketing directly to children. In today’s society of technology and social media, it is nearly impossible to monitor everything children see. Therefore, it is important that we don’t allow big chocolate producers to have marketing ploys that result in false stereotypes and ideas. In the chocolate industry, there has already been a shift in how we view race in chocolate. As professor Martin has stated in her lectures, chocolate and vanilla have become cultural metaphors for race. These metaphors insinuate that chocolate is to blackness and vanilla is to whiteness. These metaphors expand far beyond simply color. They have even developed their own associations as whiteness is purity and cleanliness, while blackness is sin and dirtiness. Another important note that Dr. Martin has made is how chocolate can reveal mainstream cultural blind spots in relation to racism and inequality. Due to this, it is important to educate people as opposed to exploiting stereotypes. While we know that chocolate has been considered extremely beneficial in early civilizations, as it was often used therapeutically, people now may have a false sense of health in regards to chocolate. Many chocolate recipes were developed for what their creators believed to be maximal health benefit. However, people began to associate chocolate with health problems. In my interview, I asked my friend how they viewed chocolate and the benefits of eating chocolate and they replied, “I don’t know how beneficial it is to eating chocolate all the time, but I don’t think it hurts to have it sometimes as a snack.” While there are some risks in eating chocolate that range from toxins in the cacao shells to high amounts of sugar and saturated fat, chocolate has many beneficial qualities in being consumed. One benefit is the high amount of antioxidants received from eating chocolate. Also, chocolate has many cardioprotective qualities. This has been seen in cases such as the Kuna Case Study. In this study, they found that the Kuna people had better cardiovascular health than others due to the consumption of chocolate. Although some findings pose that this a potential complication due to the Kuna people also having a fish diet, chocolate clearly can have a positive impact on overall health. (Howe, 2012). According to Francene Steinberg, the effects of cacao flavonoids on cardiovascular health have been seen to reduce platelet reactivity, which then reduces the risk for clot formation. (Steinberg, 219) Chocolate also has the ability to work as an anti inflammatory and have anti tumoral properties. As seen by the image on the right, dark chocolate has been noted as a food that can help prevent cancer. As Watson states, Although in vitro studies have shown that cocoa flavonoids exert anti-tumoral effects, further studies are needed.” (Watson et al., 2013) However, the stigma that people have towards the benefits of eating chocolate often promote that there are very few and eating chocolate only causes health problems. People have found that the ideal chocolate to eat is 70% cacao and also limits cocoa butter content. It is also important to consider that the chocolate came from a cacao farm that avoided chemicals while being in a safe environment. Although chocolate has become seen as an unhealthy snack to some people, there are still many beneficial qualities to consuming chocolate. Clearly, it is important to understand that there are many people who are unaware about the many facets of chocolate and the production of it. When looking at the origins of chocolate, many people do not know where it truly originated and how important it was to those people. The Mesoamerican civilizations regarded chocolate as one of the highest luxuries and used it in many different rituals. Also, it is evident that people are not very educated on the process in which their chocolate is produced. Many cacao farms, especially in West Africa, exploit adults and children in order to make more of a profit. With education and awareness of these poor conditions, people can understand how their chocolate is being made and if that company is upholding ethical standards. Not only may people not understand where their chocolate is being produced, they are often unaware of the potential benefits to consuming chocolate. Studies have found that chocolate provides key antioxidants and also improves cardiovascular health. Also, it is important to understand the myths and stereotypes associated with chocolate. Chocolate is constantly being shown as this sexual arousing item for females with men using it to seduce these women. Advertisements and companies capitalize on these stereotypes and use them in order to sell their product. After conducting this interview with my friend, I have began to get a better understand of how chocolate is viewed in most people’s eyes. Chocolate has played a major role in society for many years and it is important to inform people of the truths to consuming chocolate rather than keeping different myths and stereotypes about it alive. Howe, James. “Chocolate and Cardiovascular Health: The Kuna Case Reconsidered.”Gastronomica: The Journal of Critical Food Studies, University of California Press Journals, 1 Feb. 2012, gcfs.ucpress.edu/content/12/1/43. Watson, Ronald R., et al. Chocolate in Health and Nutrition. Humana, 2013. Berlan, Amanda. “Social Sustainability in Agriculture: An Anthropological Perspective on Child Labour in Cocoa Production in Ghana.” Journal of Development Studies, vol. 49, no. 8, 2013, pp. 1088–1100., doi:10.1080/00220388.2013.780041.